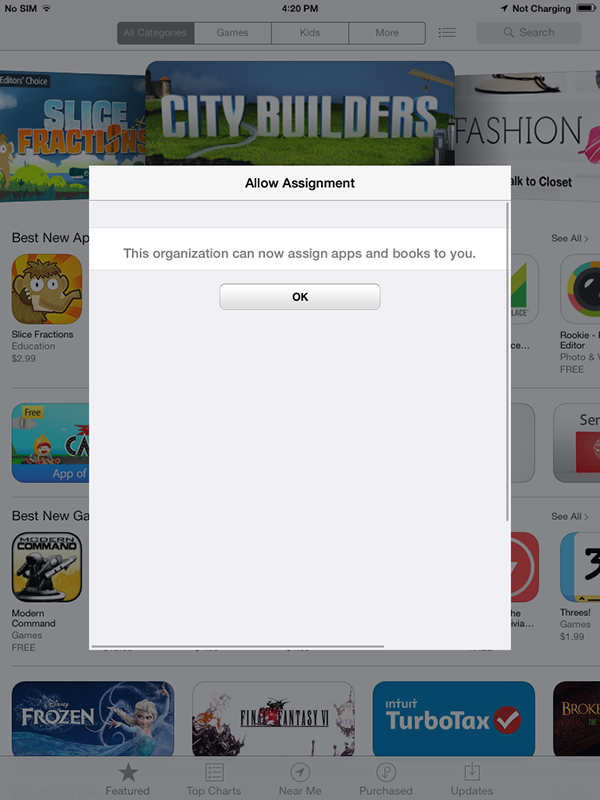 When the user tries to install an iOS paid App from the App Catalog, an error message is displayed on the mobile device "User not registered for managed distribution"
When the user tries to install a paid App from the App catalog, user will be prompted to accept an App distribution invitation. 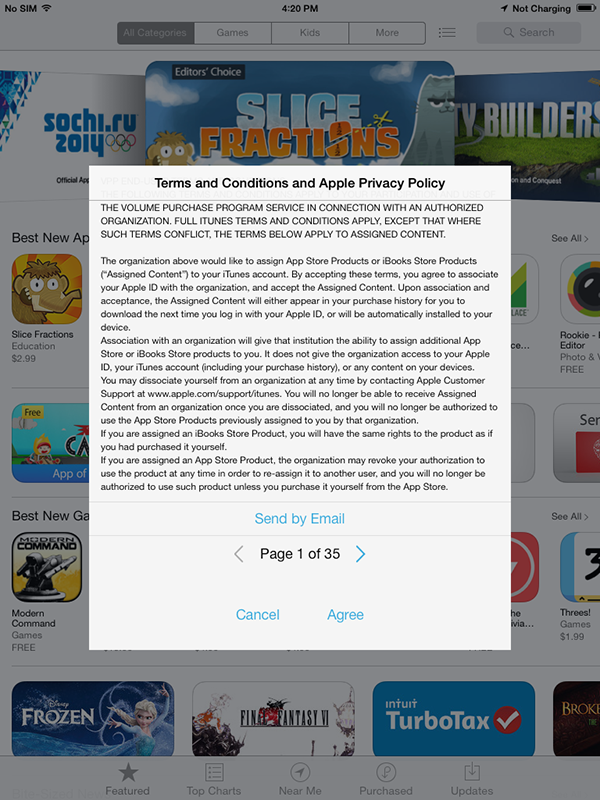 If the user fails to accept the invitation and tries to continue App installation, which means the user is not registered for Managed Distribution. Open App Catalog on the managed device. Touch the paid iOS App, which needs to be installed. Touch Continue, to accept the invitation as mentioned below. By accepting the invitation, user will be registered for Managed Distribution. 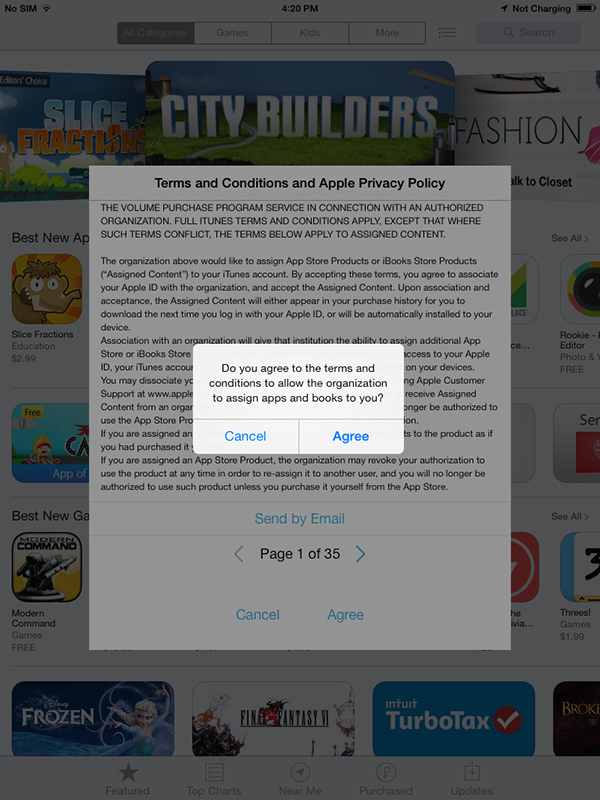 If prompted, users should provide their Apple ID and Password. This is a one time process, so users will not have problems in installing a paid App distributed through Managed Distribution. User have successfully registered the for Managed Distribution. 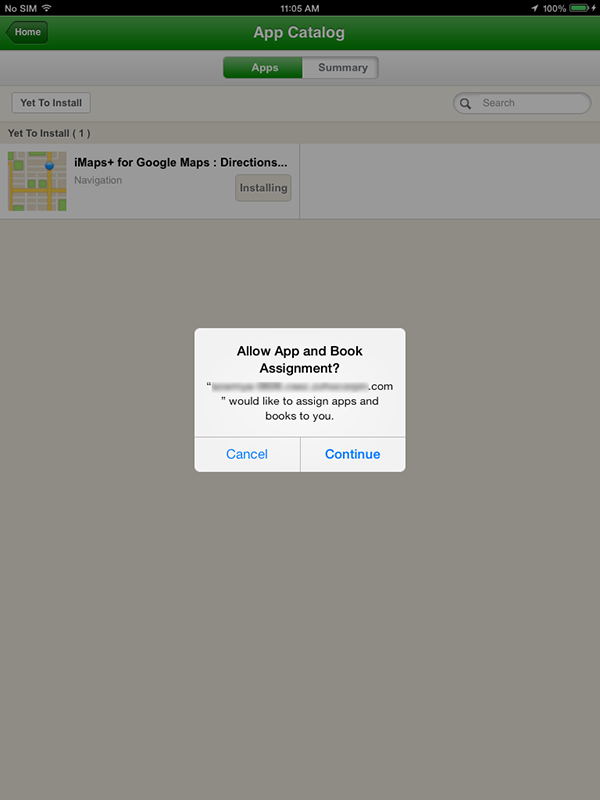 User will now be able to install the paid App from the App Catalog. Keywords: Incorrect Country Code, iTunes Apple ID cannot be validated, Mobile Device Management.